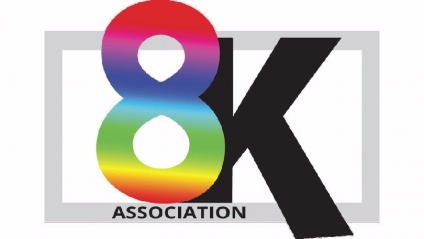 A group of display technology brands have come together at CES 2019 to form a new industry organisation: The 8K Association (8KA). Founding companies for the 8KA include leading panel supplier AU Optronics (AUO) along with consumer electronics giants Hisense, Panasonic, Samsung Electronics and TCL Electronics. Panel supplier Samsung Display is also in the process of joining the 8KA. This international group of leaders recently signed a Memorandum of Understanding (MOU) to form the non-profit organization to advance their common vision and mission. · The organisation will work on developing the entire value chain for 8K with an initial focus on supporting the early commercialisation and adoption of 8K TVs. Building on the newly founded 8K Association and powered by major investments in the latest-generation large-screen 8K-ready panel production facilities, the newest of which enters production in early 2019, TCL will pave the way for an 8K era and actively encourage a wide range of business partners – from streaming services and hardware manufactures – to take the lead in making 8K widely available and accessible. “In Japan commercial 8K broadcasting via satellite was launched from 1st December 2018. Accordingly, we at Panasonic strongly expect that this Association will lead the 8K ecosystem creating both business opportunities and consumer benefits.” said Michiko Ogawa, Executive Officer of Panasonic Corporation.